...Where all the fun began! 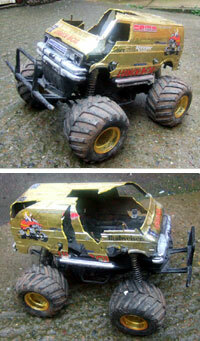 We wanted to share and still do, our passion of old Tamiya's period. With lovely photos, entertaining movies and hopefully interesting stuff we get up to behind the scenes. Along with trying to cover our costs a little selling a few DVD's here and there. And even if you don't believe us, it wasn't a money making idea from day one, honest! 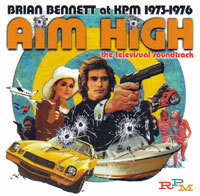 The DVD's have been fun to make, but now take up huge amounts of time to produce. That's why we invented www.RC101Tube.com so we could upload new movies straight away without you having to wait. re-release nearly every model on this website. 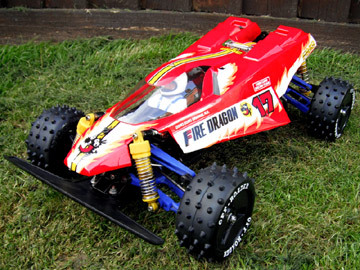 Which does effect us somewhat, as Tamiya101 is all about the first 100 R/C Tamiya's. Stevo309 has an article ready to go soon all about this subject so I'll shut up now. He's here again, but we wouldn't be without him... and his pants! Along the way we have had tons of help from people overseas who we would like to thank. But here in the UK our main help has come from close friends who have been life savers in a way. The sort of commitment that makes me start to fill up and puts a big lump in my throat! Guys as daft as us and love our antics. So I'll say a big THANK YOU to you all now, you know who you are. This is all starting to sound like it's our last will and testament and T101 will be no more soon. NOT THE CASE! 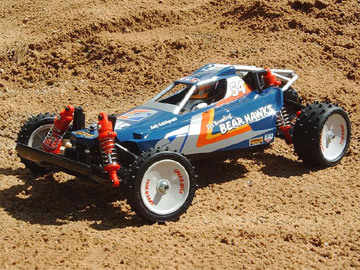 As long as we can and through hard times, we will try our best to bring you something fun and entertaining in the form of old Tamiya. ...And then the release of our '19' DVD..
Before we get carried away, sorry if any of this sounds like we are trying to big ourselves up or sell DVD's. This is NOT our intentions! We're just very proud of the hard work we've done so far over the years and wanted all you guys out there to know a bit more about our story and what we are about, but more on a personel level. We just want to keep pleasing and coming up with ideas that haven't been done before. And believe me we still have plenty of life left in us yet!! At the heart of all this... A special person with jedi skills in website programming, without him all this wouldn't have been possible.. STEVO309! While I spent many, many hours putting movies together. Steve was exactly the same putting the websites together. It really is A LOT of work and I thank you fella BIG TIME! Hope you've enjoyed reading this as I could go on all day about US! LOL! But we'll leave it there for now and maybe do an update on this article in the future when all sorts of other good stuff has happened? Always remember to have a good look around this site as all sorts of goodies are tucked away. Our Models section has recently been updated with a few more cars, but we could do with more please if anyone has any good boxart pics? Also we love writing these articles and wish we could do more, but we do try keeping them interesting and engaging. Cheers for your continued support everyone! Full of good idea's... We hope? With only me and Steve running these sites. 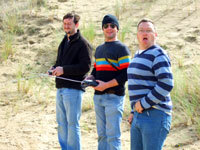 We do our best to keep them fresh and up-to date for you but might lapse sometimes as we are both very busy chaps. The Professor helps us out every now and then though with his charms.. so to speak. The idea of him was hatched from a series of mishaps and adventures we got up to in hotels up and down the UK. I will say no more. Going back again. 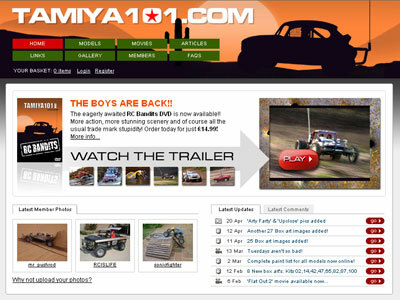 We used to come up with an entirely new look for the website themed around a new DVD release. This proved to be so much work though designing from scratch every time! A DVD idea that never was..
We have sold DVD's not just to cover our costs, but for giving us more content and something no one else was offering at the time. 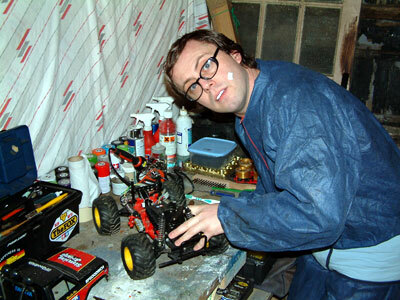 You've all seen the wonders of those old Tamiya promo movies, but we were a bit tired of the quality. So set out to put our own spin on them and show off these fantastic models the way they were designed to be used and abused! 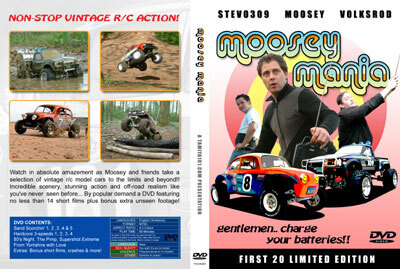 Moosey Mania is not all about me if you ever wondered, and to be honest we always wondered about the name of this DVD, but at the time it stuck and we went with it. I'm not on it that much as I'm behind the camera most of time filming! Which by the way is what I love doing. It did live to fight another day..
it's nice to see a little humor and creativity along for the vintage collecting ride. too often people get all too serious and forget why they loved this stuff to begin with. thanks for keeping it silly fellas! 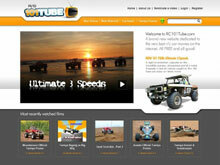 The site is just simply the BEST out there !!!!! full of top information and some great write-up's that you can't find anywhere else. 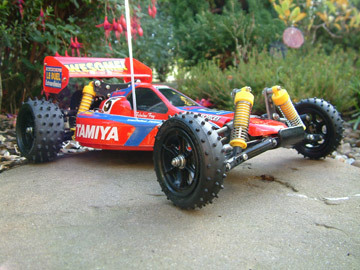 Tamiya101 is only possible because of the true gent's that make it happen. 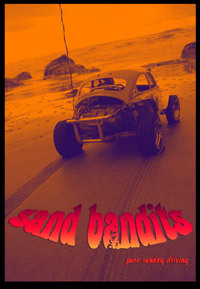 A big thanks to MOOSEY / STEVO309 / and to the silent few who i know have all played a massive part in some of your dvd's, Rad superman , Volksrod, Zakspeed , wireless , purplebugsy,etc i'm sure there are more along the way that i'm too stupid to remember but thanks very much ..
NOBODY does it BETTER !!!
" 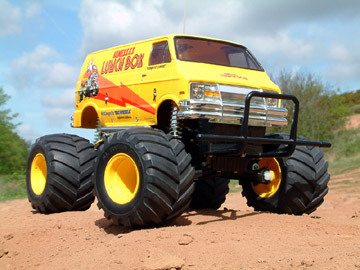 where else could you see an exploding Lunchbox or mini?
" where else can you find an expert in a boiler suite hidden away in a secret underground bunker that wears pant's on the outside"
"where else can you see fabulous video footage of all the golden oldies?" I just want to say thank you for all the work you guy's do to make this web site happen. I truly love this web site and the video's I watch theme over and, over because, I just can not get enough of action you and, your team do for true die hard fans like my self. 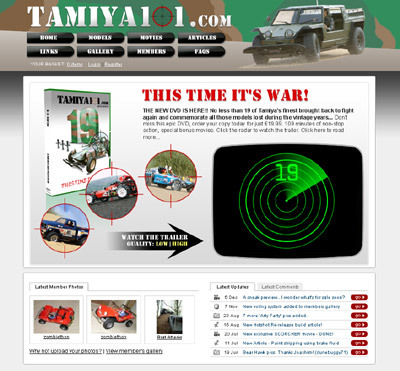 I remember when I first found the web site I was so over joyed to know that there was guy's out there that love breath and enjoy vintage tamiya's like my self. I would hate to see you guy's leave I would be tamiya-less with out you and your die hard buddy's you guy's do a fanstastic job on what you do KEEP UP THE GREAT WORK!. 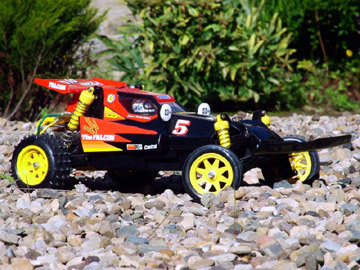 I just wish we had fun people who enjoy RC Vintage Tamiya's in the U.S. if we do were are they and, it would be so cool to actually meet you guy's it would be fansstasstic. ;-).